New Hampshire Motor Speedway officials announced Wednesday that Oxford Casino will sponsor the track’s NASCAR Sprint Cup Series Camping World RV Sales 301 Pole Day on July 11. “We’re pushing all of our chips in when it comes to Friday qualifying,” Jerry Gappens, executive vice president and general manager of New Hampshire Motor Speedway said in a release. “We have tremendous racing scheduled for Saturday and Sunday. Oxford Casino opened in June 2012 in Oxford, Me. 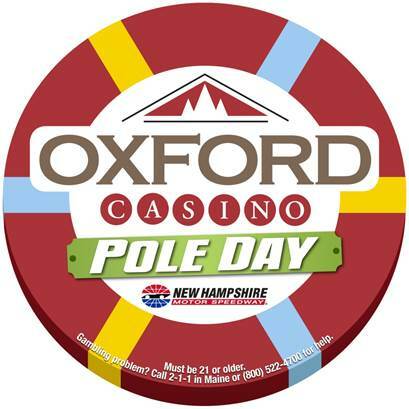 Pole Day on July 11 will see a variety of action on the track. In addition to Sprint Cup Series qualifying there will be a special NASCAR Modified Tour Shootout event and a feature for the NASCAR K&N Pro Series East.